New Food Network Launched in the North! Northern Tasmania asked, and NTDC and RDA Tas have answered with a New Food Network launching this week, connecting many professionals in this space. There was great energy in the room at the first Food Network session on Wednesday night here in Launceston. Thank you Tom Lewis (FermenTas); Roger Stanley (UTAS Food Guru); and Mike Locatis (915 Labs Denver Colorado) for your updates on the latest technology and your projects. 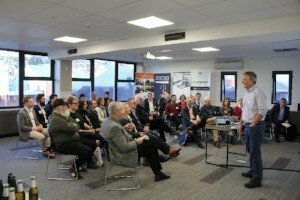 The casual networking event attracted around 30 people representing businesses from across the North of the State. Updates on progress were provided from FermenTas and MATS (Microwave Assisted Thermal Sterilisation), as well as participants taking full advantage of the opportunity to build their networks, share experiences, and identify issues and opportunities. Also thank you to all that attended and made the night a success, we look forward to working and continuing conversations around this space. Head over to our Food Network Facebook page to keep up to date on all things in this space! We must increase exports of goods and services out of the region. We need to strengthen regional supply chains, value add to our products and collaborate to be globally competitive. 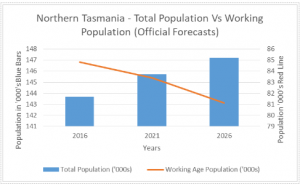 Northern Tasmania must build on industries with export potential: agriculture; food and beverage manufacturing; forestry and wood products; and other competitive manufacturing. The applications for the 2019 Tasmanian Leaders Program are now open! Offering a life changing leadership experience that achieves positive outcomes for participants, their employers and the wider community. Visit here to discover more! Applications for the 2019 I-Lead program open mid-November 2018. For preparation for and more information on the 2019 I-Lead program, head over to the Tasmanian Leaders website. 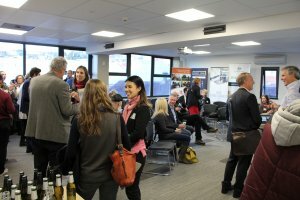 The University of Tasmania is calling for Northern Tasmanian businesses to open their doors to talented and enthusiastic international students studying at the University of Tasmania and TasTAFE, by offering workplace experiences and unlocking benefits for both the students and their businesses. The I-PREP program, supported by the Tasmanian Government, aims to give international students an opportunity to engage in and make a valuable contribution to a Tasmanian workplace. The On-farm Energy and Irrigation Audit Program provides a subsidy to assist farmers engage a qualified professional to review their farm energy use, infrastructure and systems, and to identify savings strategies. Funding is available over 3 years – 2018/19 – 2020/21 and remains open until the allocation for each financial year is fully committed. Applicants can apply at any time in this period. Do you have a startup to launch? Or would you like to set your existing business up for growth and/or success? The Van Diemen Project, in partnership with the Illuminate Education illuminate:nextgen Challenge, is thrilled to be offering our Business Bootcamps in George Town. China is a key partner for Tasmania, and this relationship continues to evolve. You are invited to learn from senior officails from the Commonwealth Department of Foreign Affairs and Trade and Austrade and experts from UTAS about where China is today, where it is going abd what this means for the Tasmanian State Government and Councils. To book or enquire, email: dfat.tasmania@dfat.gov.au | RSVP by 7 August. BAE Systems Australia Global Access Program team is seeking registration of interest to attend the next Estimating and Pricing Fundamentals Courses. Attached is the Course Synopsis detailing the Fundamentals and the Masterclass. This is a free workshop about empowering you to not only sullpy into the automated warehouse, but also enable you to transform your own business from the ground up. To register, click here.